There is only one way to invest with us. Our fund is a Pure Equity fund. You can make an equity investment and become a member of the LLC. Historical Returns Our blended net return to investors has exceeded 20% since inception. Keiretsu Forum, is a global community of accredited private equity investors. 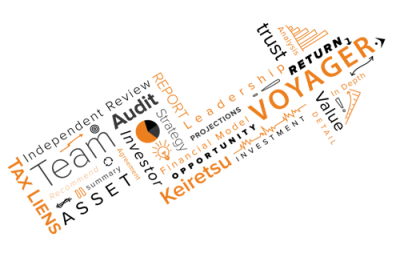 In 2015, Keiretsu performed an extensive due diligence process on Voyager Fund I. As an outside group of investors, this due diligence team produced a 75-page due diligence report, and following the completion of that report, several members of the team invested with us. Click here to request a copy of our due diligence report. For nearly 20 years, we have been attracted to very small real estate deals. That’s why we are a perfect fit in the SBRE family. Small Balance Real Estate is defined as real estate assets averaging less than $2 Million, a fund size of less than $100 Million, and a fund structure which is highly customized to match the assets being acquired. present at all SBRE Summits. This site provides a very limited summary of LandCentral and Voyager, and is not intended to be a comprehensive overview of our business, inherent risks, or our operations. We do not provide investment advice. Interested investors must obtain and carefully review our Private Placement Memorandum (PPM) and other related investment documents prior to investing. Any investment made will be subject to the terms, conditions, and disclosures contained in those documents. Historical performance data represents past performance and does not guarantee future results. Current and future performance may be different than the data presented. Securities offered by Voyager involve a high degree of risk and should be considered only by Accredited Investors who can bear the risk of the loss of their entire investment. Our Funds have not been reviewed or approved by United States Securities and Exchange Commission or by any state securities agency. 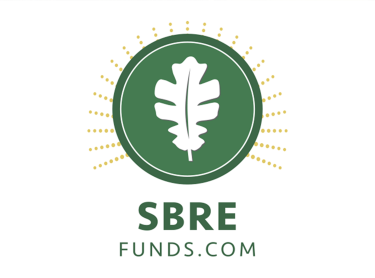 Investments in our Funds are offered under an exemption from the registration requirements of the Securities Act of 1933 and are not registered with the United States Securities and Exchange Commission or any state securities agency. Investors should not assume that they will be able to liquidate or resell their investment in our Funds, and should be aware that no public market exists for doing so.